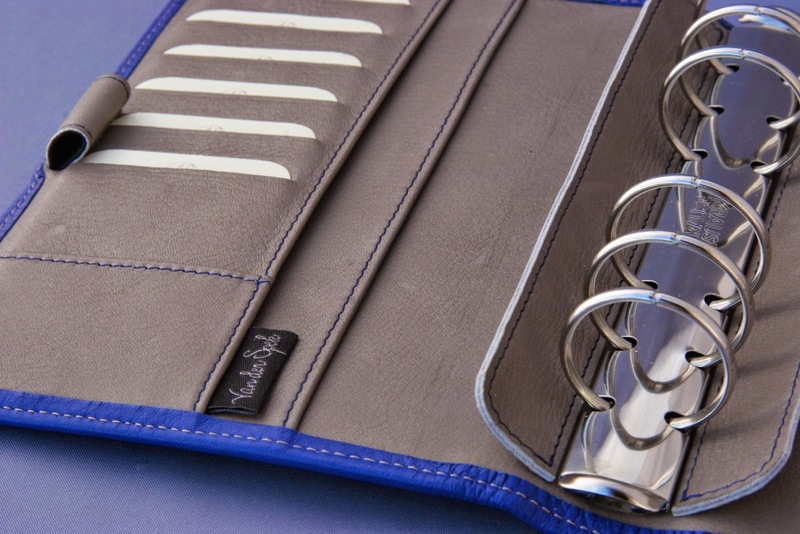 Today I'm going to introduce you to the new Van der Spek 2016 'Touch Me' leather collection as well as a new A5 custom organiser made using one of the new colours of 'Touch Me' leather. Back in June at the Van der Spek meet up, Petra Van der Spek got everyone in attendance to help Petra choose the new 2016 'Touch Me' leather colours. Petra had decided to get a new supplier for this leather, but they offered a vast range of colours and obviously Petra only wanted to stock a small number of colours. So each person was given a voting sheet and they were asked to pick their 10 favourite colours from the sample card with approximately 60 different colours on it. In addition Petra had made some sample organisers using some of the new leather, this gave people a better idea about what the leather would feel like as well as look like in items larger than a small sample size. Following on from the meet up, a series of votes took place in the Van der Spek Facebook group to reduce the options down to three new colours, plus black and brown, which were by default going to be included. The Van der Spek 'Touch Me' range of organisers are made by a sub-contractor to the requirements of Van der Spek. Van der Spek will be supplying the leather, which has been sourced from a tannery in France and the items will be made in a large batch and you will be able to order them from stock on the VdS Shop website. The design is very good and incorporates some great features including a full width back pocket, zip pockets and plenty of other pockets too. They come fitted with Krause rings as standard and are very competitively priced. In addition to organisers, there will be a new 'Touch Me' Nomad Travellers Notebook cover available as well. The leather is very supple and nicely textured. It resists 'finger nail' scratches nicely too. The colours are very vibrant yet not too over-powering. Delivery is expected some time in November, but I will announce when they are available on Philofaxy. They will be stocked in Junior(Pocket), Senior (A6), Standard (Personal) and A5 sizes. One small design change for the new 2016 range of 'Touch Me' organisers, the Senior (A6), Standard (Personal) and A5 sizes will all have two pen loops. I think this is a great addition. 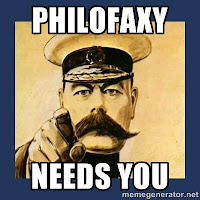 Guest posts/reviews must be organiser related, Philofaxy will not publish non-organiser related posts... we often receive offers of very non-specific posts, one for example about body weight loss, when I published a post on weight loss in relation to removing pages from your organiser! Clearly they hadn't read our post at all or our guidelines! In all posts we are happy to include a link or links to your own blog or your You Tube Channel or Instagram feed. What size would suit me best? Smitten with my unwidened VDS Senior in JL yellow for 6 weeks... - Olga plans! On Sunday 30th, the clocks go back one hour in the UK to mark the official end of British summertime. 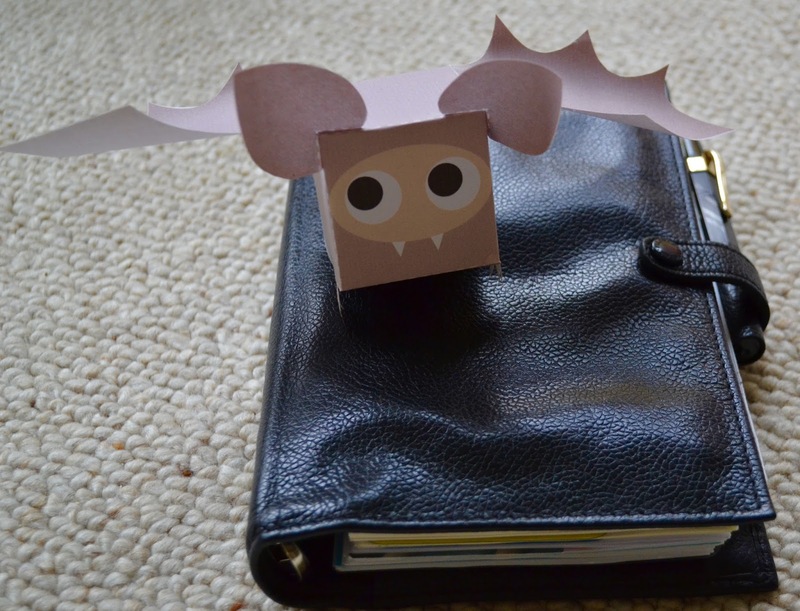 I'm not a great fan of the darker evenings, so once the clocks change I use my Filofax to keep track of when I use my light lamp, and to help me increase the amount of exercise that I do in the winter. Do you use your binder(s) to help you track extra activities or projects like this during the different seasons? And as always as it's a Friday, please feel free to discuss anything ring bound planner related. 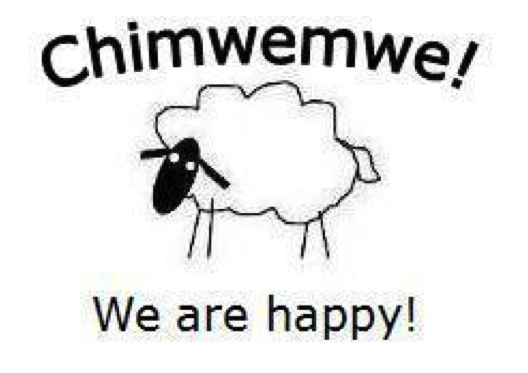 Have a great weekend and Halloween, if you celebrate it. You want to collect yourself and all your emergency data. Where do you start? Listen in to Episode 35 where the gruesome twosome discuss various ideas for putting together a wellness planner and getting emergency contacts in order. What size of organiser to use can become quite a time consuming and expensive exercise. However help in the form of this post is at hand, I suppose it could have been done as a large table, but it was easier to do as text. Karine and I covered this topic in our very first podcast, but it will not harm to revisit it at a slower pace and without the pressures of trying to fit all my ideas and thoughts in to a 30 minute recording!! 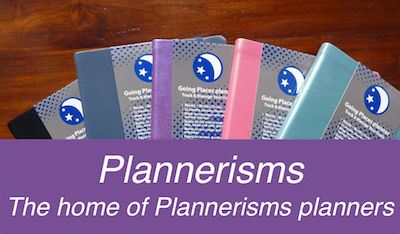 Filofax and other brands of organisers come in a variety of shapes and sizes, so let me start at one end of the spectrum and work our way up to the other end giving the details and my own personal thoughts on each one. A long discontinued size from Filofax, this uses paper size that is similar to Mini size but landscape format and with only 3 rings spaced at 19mm apart. Filofax stopped making the organisers some time ago, and ceased offering inserts as well this year. 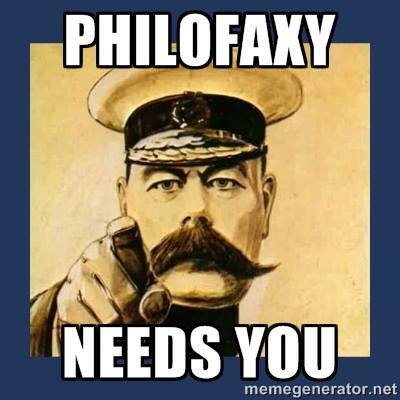 But you can download and print your own inserts at Philofaxy for the M2 size. M2's can be used as both as notebooks/wallet combinations being landscape in format, I have found the page format easy to use and it slips in to your back pocket or in to a jacket pocket so neatly. This is the smallest size available, it uses paper that is 67mm by 104mm in size and five rings each is spaced 19mm apart. Mini is near enough an eighth of the size of a piece of A4 paper or roughly A7 size but slightly narrower. Filofax have stopped making Mini size organisers, but you will still find them available pre-owned and may be new in one or two stores around the world. Filofax do still sell Mini inserts though. Van der Spek offer a Mini size as well, but the ring spacing is not the same as the Filofax one, so inserts are not easily interchangeable, but VdS do offer a range of inserts for theirs. Gillio offer two models in the Mini size, their ring spacing is the same as the ones in Filofax Mini so the inserts are interchangeable. I have one Mini a grey Malden, I've only ever used it for notes and reminders really. But I have seen people that use these as a 'satellite' planner. This size that remains popular with users. It has 6 rings all spaced by 19mm and takes paper that is 81x120mm which is slightly bigger than A7 (74x105mm) paper. Pockets come in various ring sizes from as small as 11mm to 19mm. Quite a few Pocket size organisers have a full width back pocket, which makes it suitable as a wallet/organiser. Older Filofax pocket organisers only had 4 rings, these are spaced the same as the middle four rings of a Personal size page, so a personal punch will work. Filofax no longer sell inserts with slotted holes to suite 4 ring pockets. This post explains the difference between 4 and 6 ring pockets. The size of the Pocket lends itself well to be used as a small planner that fits in to a small bag or a slightly larger jacket pocket. A6 size organisers have been around for some time, but this size has become a lot more popular in the last two years. 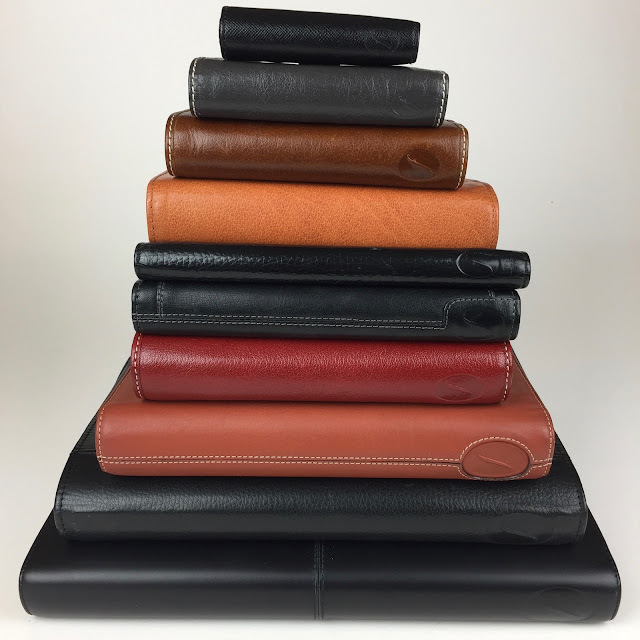 You will find them from Mulberry (Agenda), Van der Spek(Senior) and Gillio(A6) as well as a few other manufacturers. The paper size is half of A5 so it measures 105mm by 148mm. It is worth noting that the ring spacing of A6 is different to that of Personal. Franklin Covey Pocket size uses the same ring spacing as A6 but with a paper size of 89mm by 153mm. 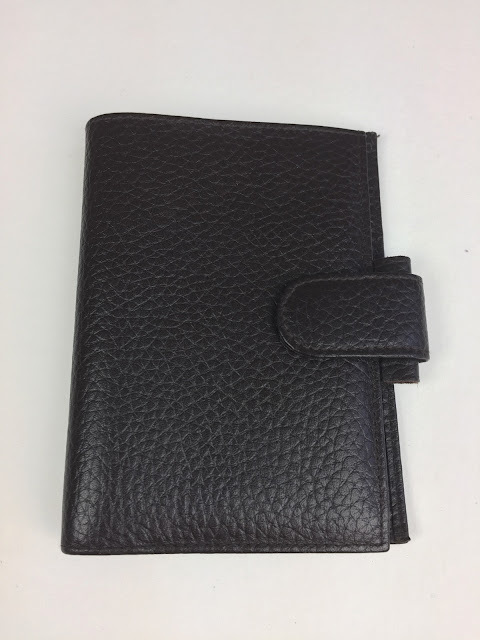 Filofax have never made an A6 organiser, but you will often see Ebay sellers advertising Personal size organisers as A6, best to check the paper size as well as the ring spacing before purchasing. I really like the A6 size, the paper proportions being the same as A5 but smaller, it means that our diary inserts have been very easy to adapt to this size. Slimline also uses personal size paper, but with small rings and generally they do not have a clasp and some not even having a pen loop. Rings tend to be 11mm or 13 mm in size and therefore quite limited in terms of their capacity. But they are slim enough to slip in to the inside pocket of a man's suit jacket pocket without being too heavy. Compact uses the same paper size as the Personal size, but it is more compact due to the size of the rings used somewhere between 13mm and 16mm with most recent examples using 15mm size rings. When people think of 'A Filofax' most people would recognise it as being a personal size one. It's still remains the most popular size. The paper size of 95x171mm can be too narrow for some people. Personals vary in ring size between 19mm and 30mm, although there are some models that go bigger from other brands. Being the most popular size you will find a huge range of models to choose from. Too many to include here. The closest Franklin Covey size to Personal is their 'Compact' size this uses paper that measures 108mm by 172mm so a bit wider than normal personal. Some organisers are wide enough some aren't especially if you want to use side tabs. However, some people have had Van der Spek make them a Custom Standard organiser made wider to take the FC pages. FC Compact is the same ring spacing as Filofax Personal. Gillio use the size designator of 'Medium' for Personal size, whilst Van der Spek use 'Standard' for theirs. A5 is a popular size due to its size, using paper that is 210mm x 148mm in size gives you plenty of space for even the busiest of people to plan a full week of appointments and tasks in a week view spread. Franklin Covey Classic size uses paper similar in size at 140mm by 216mm but the ring spacing is not the same as Filofax A5. There are a very very large range of models available from most of the manufacturers across all price ranges too. A5 is the size I currently use most, I've found that it fits my needs best, I have adapted the contents of my A5 so that it isn't that heavy to carry around as well. The Deskfax was discontinued by Filofax soon after the arrival of the A5 size. Yet despite that is still has a loyal following. Unusually it has 9 rings in three groups of three, each group being spaced by the usual 19mm and the groups being spaced by 51 mm which is the same as personal size, so personal size pages will slip on to the rings of a Deskfax. The Deskfax uses B5 size paper which is 176mm x 250mm which is between A5 and A4 paper sizes. This is the biggest size available that I'm aware of, unless you know of one bigger? It uses a paper size of 297mm by 210 mm with a standard 4 rings each 80mm apart. Franklin Covey Monarch uses full size Letter paper which is similar in size to A4 at 216mm by 280mm but the ring spacing is not the same as the standard 4 rings used by Filofax and other A4 binders. The A4 size is the grand daddy of the range of sizes available. It has its advantages as well as the disadvantages. On the plus side it takes regular size paper that you will find in most offices with just 4 holes to punch. As a planner you can easily get away with a simple week per page format, meaning that you don't have so many pages to keep on the rings. The main disadvantage I found when using mine is not so much its size when closed but the size when open, they do take up a lot of desk real estate! 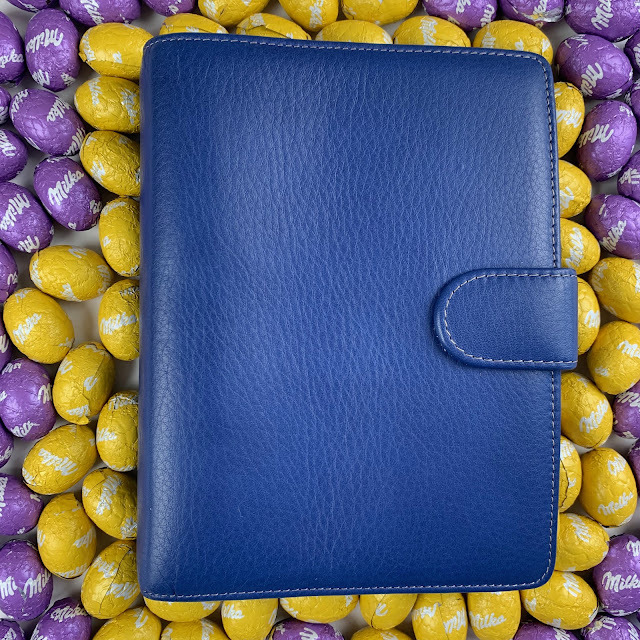 Filofax have cut back on their A4 range with just two models available these days. However, Van der Spek have A4 models in the range of writing cases, some of them with ring mechanisms. I hope you have enjoyed this quick tour of the various sizes! Once again we go back in time to revisit a Lefax price list from 1988. I'm very grateful to Ben for sending me this price list as it helps complete yet another part of the big jigsaw of the history of past models and how the company changed shape over the years. This week I would like to welcome Michele to share with us how she uses her organisers. 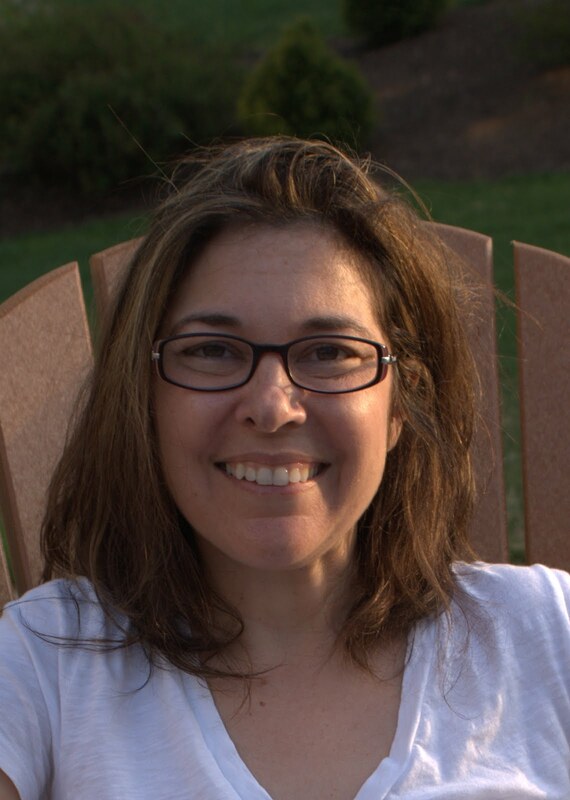 Hi All, I'm Michele, and I live in New York with my fiance, our cat and dog with my son away at college. Presently, I am an independent project management contractor which progressed from my work in the marketing within the information technology industry. Between assignments I stay very active in the project management community by volunteering with our local chapter of the Project Management Institute (PMI). It was between 1990-1992. 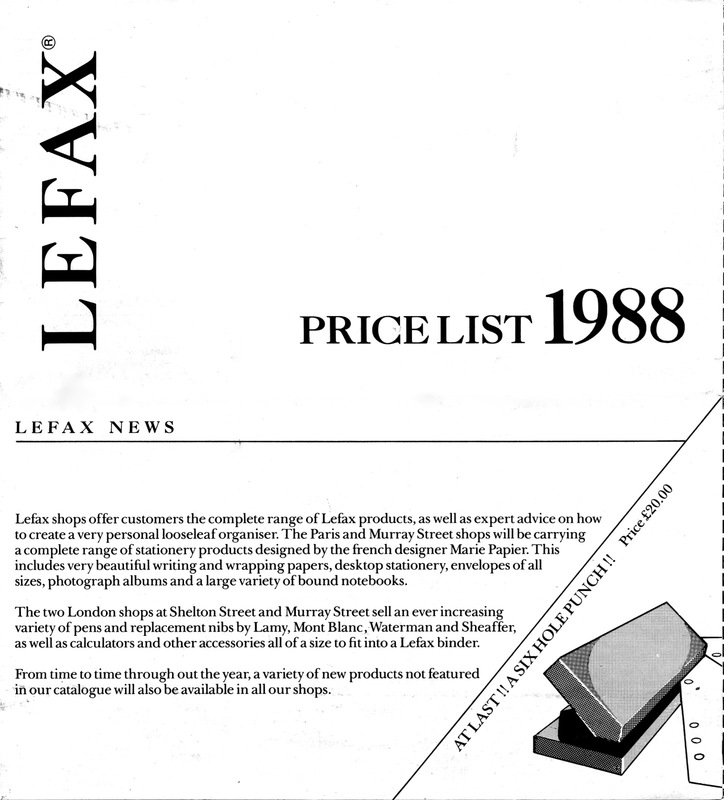 I was very lucky in those days when Filofax was so popular as the "must have" accessory. Located next to my Manhattan office was a business supply store filled with everything Filofax! Then Filofax opened a retail store within my local shopping mall. I thought Filofax was used mostly by male executives until I read in Madmoiselle that Lori Laughlin of Full House used one. As soon as I read the article I rushed to the store next to my office and bought a green pocket Kensington. In the early years thru 1996 I barely kept it beyond keeping track of appointments and maintenance work on my car. I moved away from the Filofax once I was home with a baby and used an organizer his pediatrican gave me. Needless to say, my Filofax spent a lot of time stuffed in the drawer. In 1996 I became a single mom and that is when I REALLY got serious about my organizer. I lived alone with my two-year old, and I had to manage a household budget so I would be comfortable paying rent. I pulled my organizer out of the drawer, and it has never seen a drawer since. For budgeting finances which I was most nervous about I designed a monthly budget template which I still use today. I record every expenditure in designated categories -- every penny is tracked!. At the end of the year I do a full tally up and set up budget goals for the upcoming year. I feel so strongly about these budget sheets that I still maintain them in my archives going back to 1999. All my business contacts, meetings and hours spent on contract jobs are noted in my organizer. I do find using a notebook for work helps me with my job rather than a ringed binder (which I tried for a year, but I wasn't comfortable using). What has evolved is how I use those printed "To Do" pages that come with calendar refills. I just don't even try to use them anymore. I have found I need those To-Do's need to be on the day itself or on a "Project Page"
I prefer Week on 2 Pages format as it allows me an overview of the entire week at once. I do love the monthly overview, but I cannot imagine adding more to my format. In 2011 I purchased the Filofax Business 1 Day per Page for the separate work binder I had then, but I did not use it to its full capacity. This year for the second time in my organising life I started using 1 Day per Page with Life is Crafted daily inserts. These inserts are a great organising tool, however I miss my Week on 2 Pages. Earlier this summer I purchased on sale July-Dec A5 Week on 2 Pages from Life is Crafted for my new A5 Van der Spek. I'm totally in love with this layout because in addition to the vertical view of the week, there's plenty of room to write down tasks, goals, tracking, etc. For 2017, I'm going to buy Life is Crafted Week on 2 Pages for both my Personal and my A5. The layouts are completely different, and I think I can have one to "organising" and one for "planning". I got this idea from Mella's YouTube Planning vs. Organising video. My mother's online information. She is now 87, and she is an avid iPad user. I have to be ready when I receive emergency calls when she's forgotten a password. Job Positions I have applied for are written down on the day I apply. Project lists for house, vacations, etc. I never got into Getting Things Done or Bullet Journaling. My "system" is how my organiser is set up consistently year-to-year. I keep track all of my "meals out" expenditures and my daily weight recording. Every $ I spend is recorded immediately or I keep the receipt in my wallet until I write it down. I go over what my daily goals and tasks are for the day. Whatever wasn't important enough to achieve that day is carried over to the next day. Standard Van der Spek is my go to all in one book. I put everything in here, and it's always next to me to record errands, job applications, meetings, weight, goals, daily tasks $, etc. A5 Van der Spek started this year as mainly a vision board of photos for future life events and a record of our recent house makeover. By adding the July-Dec 2016 inserts the A5 mirrors the Standard. I will definately purchase the full year for 2017 inserts as it is such a detailed calendar for the week on two pages. Mini Van der Spek is used primarily on the weekends as a wallet or when we are away on a trip. 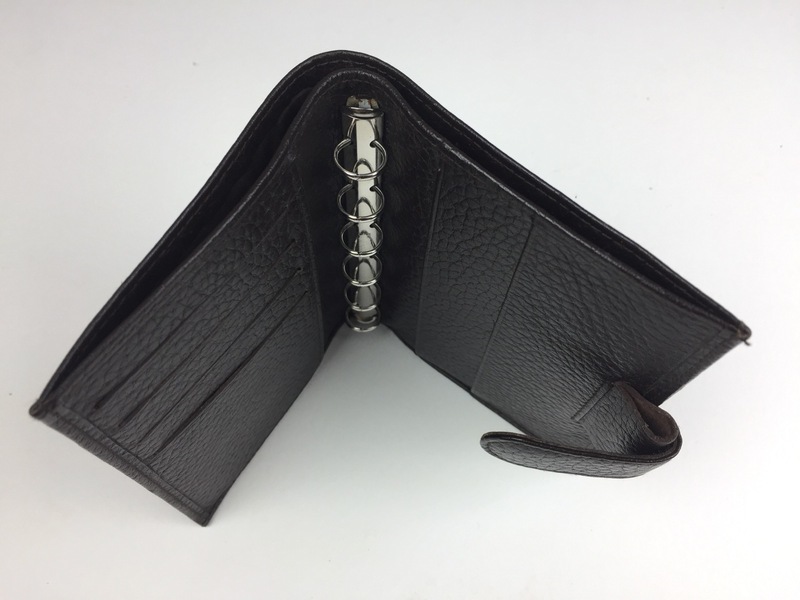 It's perfect for stuffing currency in the side pockets, a few cards, etc. I use the calendar for license spotting and for my exercise diary. A5 Mustard Finchley is very sentimental and is used for Christmas and holds many sentimental professional notes I've taken over the years. A bit of a mixed bag this week, with a huge internet outage on Friday causing mass disruption we were unable to check as many sites as usual until quite late on Friday night when things started to get back to normal. 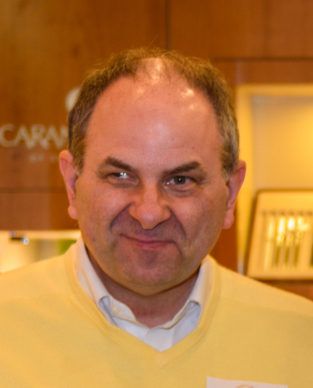 So the blog posts the system found might not include all that have been published. However the system will capture any it missed for next week. Back in the 1980's and early 1990's there was a huge range of very esoteric inserts available. Some that were not obvious as to how they were supposed to be used! 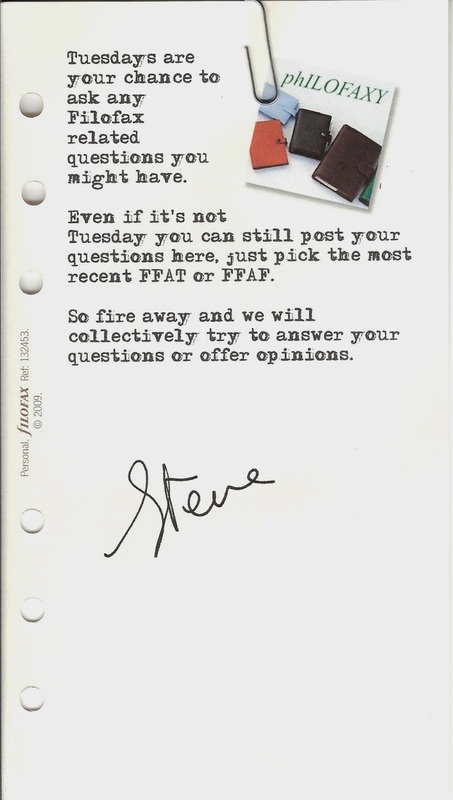 When I emerged again in 2005 and started using a Filofax again, I was surprised by how much was no longer available. I still had some unused inserts from the 1980's. So I recreated some for my own use, not for commercial use. It was from recreating some of the old inserts I discovered Philofaxy... and the rest is history! So do you have any specific insert needs that you have seen in the old catalogues? May be we can create an updated version of some of them. Since it is Friday, all organiser related topics are welcome as well of course! 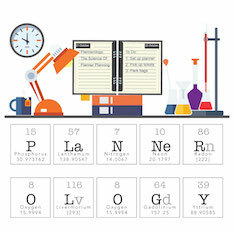 Cara Jonkers asked in the Plannerology Facebook Group " I would love an episode on how Steve's planning habits / process has changed over the life of the podcasts. I know you touch on it in most episodes - but the journey to get to where he is now in one podcast I think would be helpful and insightful." So I was not prepared for this, but I hope that I answered Cara's question well enough. 02:30 - Have my planning habits changed? 20:00 - What am I using/looking at on a regular basis? 21:00 - Not always carrying my planner away from home! Episode 34 - Listeners Question. Tim recently provided us with two posts about the new Lockwood Pocket Slim and about how he started using it. Well I have my own version of this size/format. First of all let me describe this beauty for you. It is a very dark pebbly leather, almost black as you can see from the photographs below. 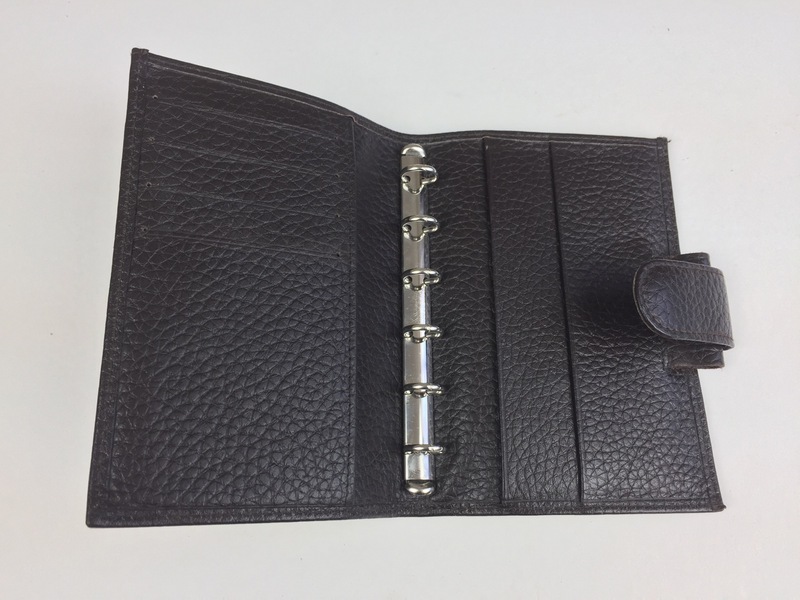 With the organiser open in the front inside cover there are four vertical card slots with a vertical slip pocket behind them. The rings are 11mm Krause rings, which click nice and tightly shut. In the inside back cover there are two vertical slip pockets and a full leather pen loop which is quite generous in size, it will take my Uniball Vision Elite pens with no difficulty at all. Looking down from above you will notice it has a full width back pocket too, which will take extra documents and notes as well. Unlike the Filofax Lockwood Pocket Slim this has a clasp to hold it closed. The style of the clasp is similar to that used on other brands of organisers. Overall a very nice organiser, one slight issue.... there is no makers name on it at all. I've been over it with a magnifying glass to try and spot any clues as to the name of the maker. The person that sold it to me via Adspot, did not know the make either, but we agreed a very reasonable price for it! What will I use it for? Good question, notes I think and for carrying other documents and loose papers and reward cards which I hate cluttering up my compact wallet. Yes I'm getting used to using smaller ring organisers.... how about you?